This is a sun-soaked southern gothic that sort of rolls along and then hits you over the head. Obviously, I loved it. This is one of those shows that isn't for everyone, though. It really messed up families make you uncomfortable, or you're not ready for Coach Taylor to be dropping f-bombs constantly, you may want to stay away. But, man, it was fascinating to me. I'd been trying to pace myself and only watch one episode a day but I spent last Sunday watching the final three, because I just couldn't look away. Bloodline pulls off something that often doesn't work for me: By the end of the premiere, you know how the story ends. John (Kyle Chandler) then tells the audience that he and his siblings, aren't "bad people," but they "did a bad thing." (Not a spoiler, it's also in the trailer.) He continues to reveal the family's secrets throughout the season, as we discover a whole lot of "bad things" are hidden in the perfect-seeming Rayburn family history. The cast is superb as well. Obviously, Kyle Chandler is fabulous, but so are Linda Cardellini, Sissy Spacek and especially Australian actor Ben Mendelsohn, who does an outstanding job keeping the viewer guessing about Danny's motivations and agenda. 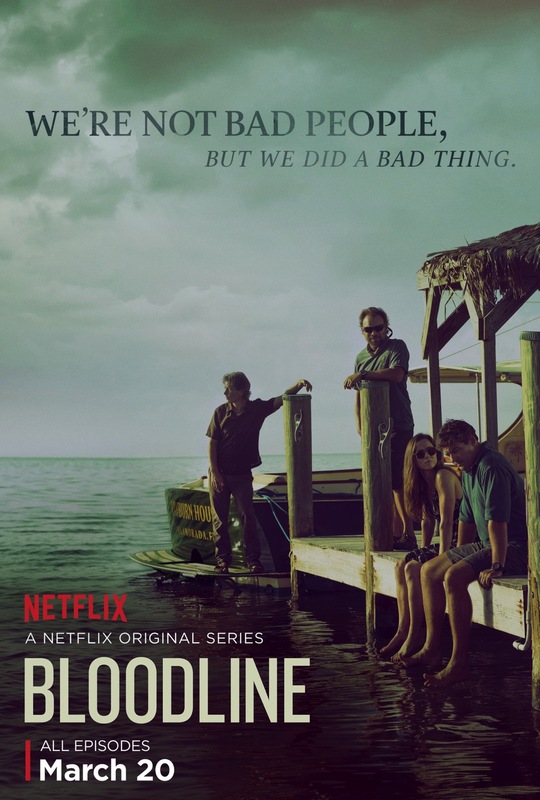 Stream It: Bloodline is a Netflix exclusive.